Stunning handmade glass wall clock. 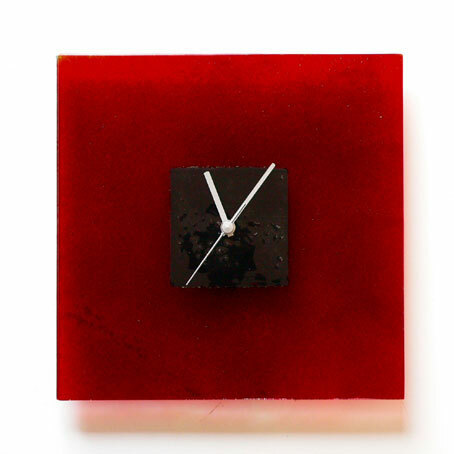 Set in a translucent red glass with a centre black square hoop for great contrast. A real head turner of a clock!! Clock is a square 30x30cm. This clock is handmade and to a high design quality, sure to draw comments from everyone who sees it!